Xherdan Shaqiri’s second-half brace after coming off the bench may have stolen the headlines – and indeedSky Sports’ man of the match award – in Liverpool’s 3-1 destruction of Manchester United at Anfield on Sunday, but there was little confusion over who the true standout performer was. Anchoring the home side’s midfield and producing his best all-round performance since arriving at Anfield from Monaco in the summer, Fabinho exuded control and class throughout. The Brazilian took time to adapt to English football and work his way into Jurgen Klopp’s side, but his display against United stole the show and demonstrated why Liverpool moved so quickly to secure his services back in May. 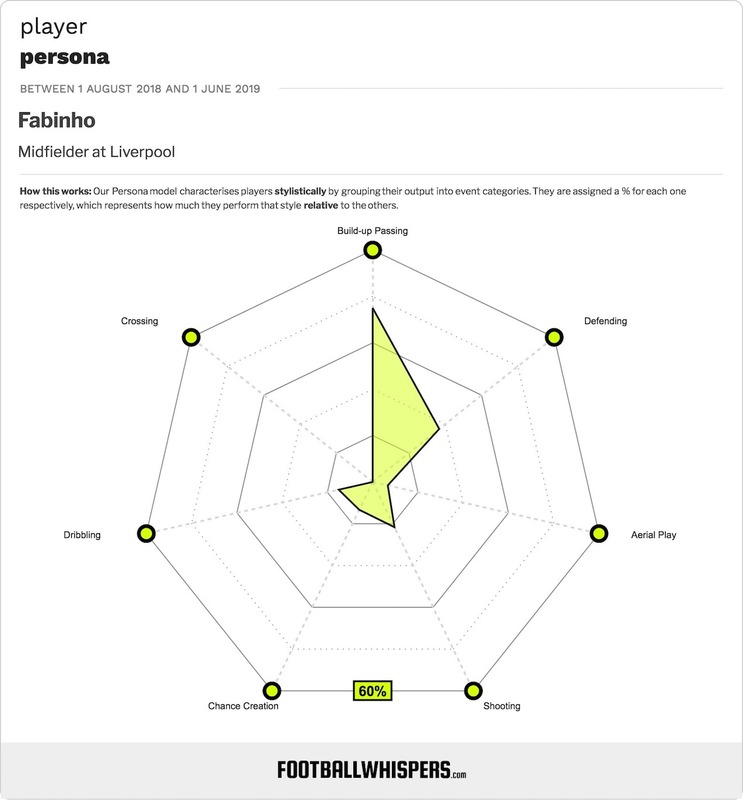 With his anticipation, athleticism and controlled aggression, Fabinho has the tools to replicate the impact Javier Mascherano had in the Liverpool midfield during his three years at Anfield between 2007 and 2010. Arriving from West Ham United – where he had made just five Premier League appearances after he and compatriot Carlos Tevez had become highly controversial acquisitions – Mascherano proved on Merseyside why the Hammers were prepared to bend third-party ownership rules to get him in the first place. The perfect complement to supreme conductor Xabi Alonso, Mascherano added bite and physicality to the Reds’ middle third. A pure destroyer, the former River Plate man was one of the best ball-winning midfielders in the world during his Anfield stay, and the extent to which his technical skills went underrated was exemplified by his subsequent move to Pep Guardiola’s Barcelona. With Alonso and Mascherano as their double pivot in midfield, thus freeing Steven Gerrard to join Fernando Torres in attack, Rafael Benitez’s Reds emerged as serious title challengers, losing just twice throughout the 2008/09 campaign to finish just four points behind champions Manchester United. Since Mascherano’s €24million move to the Camp Nou in 2010, Liverpool have tried multiple players in the deepest midfield role. Lucas Leiva was a hard-working fan favourite, but lacked Mascherano’s dynamism and technical quality. Gerrard dropped back into the position and almost powered Brendan Rodgers’ side to the title in 2013/14, but the ageing skipper couldn’t cover ground like the Argentine. And current captain Jordan Henderson still regularly starts at the base of midfield, but he lacks athleticism and positional nous. In Fabinho, though, Liverpool finally have a destroyer capable of elevating their fortunes as Mascherano once did. In fact, the Brazilian offers everything Mascherano provided and more. Against United, Fabinho wasn’t often called into defensive action due to the conservative tactics and willingness to cede possession of the away side. When he was needed to reclaim the ball, however, he was there, making one tackle and one interception while always appearing to be stationed perfectly to thwart any breakaway Mourinho’s men may have contemplated. His defensive output is better characterised by his combined average of four tackles and interceptions per 90 minutes in the Premier League so far this season, where he has impressed with his physical power and positional understanding. However, the United victory showed how Fabinho can be even more effective than Mascherano when the Reds have possession. Firstly, there is the matter of his sublime assist for Sadio Mane’s opening goal. The Brazilian measured a perfect lofted pass to meet the former Southampton man’s run, precisely calculating the appropriate weight and angle to leave the Senegalese winger with a simple finish. But it was also a performance which included two chances created, as Fabinho stepped out of his deep-midfield remit when permitted and looked to spark attacking situations with the kind of line-breaking balls Mascherano tended to leave to Alonso. Fabinho also completed three dribbles against the Red Devils, swerving challenges with poise, balance and unerring control, another attribute less prevalent in the excellent Mascherano’s arsenal. It is a sorry indictment of Manchester United’s current predicament that there will be sterner tests ahead for Fabinho. But the way he handled the occasion, bossing proceedings in a meeting between English football’s greatest rivals, showed why he has to be considered Klopp’s first choice at the base of midfield from now on. Fabinho has everything and more in his locker to seek and destroy better than any Liverpool midfielder for some time.